We love pie! 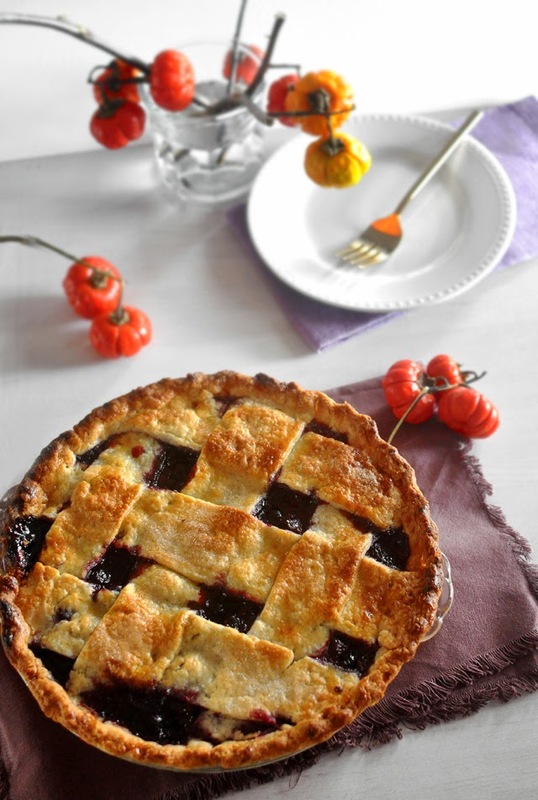 All of us really love pie and it is one of our favorite desserts. I couldn't tell you what pie exactly is my favorite, though. I love pumpkin pie so much but I think I love sweet potato pie even more. Pecan pie? Yum! I love creamy pies as well but just not as much as the one mentioned. I also love, love, love fruit pies. This is one of my favorite combinations, blueberries, raspberries and blackberries. Most often I use frozen berries and It works perfect because they release a lot of juice, which translates into an amazing pie. Last Thanksgiving I made six different pies and pretty much every single one was amazing. I am not doing that this year, I want a laid back Thanksgiving where I am not running crazy around trying to take down some pie record, lol. But a sweet potato pie will happen. 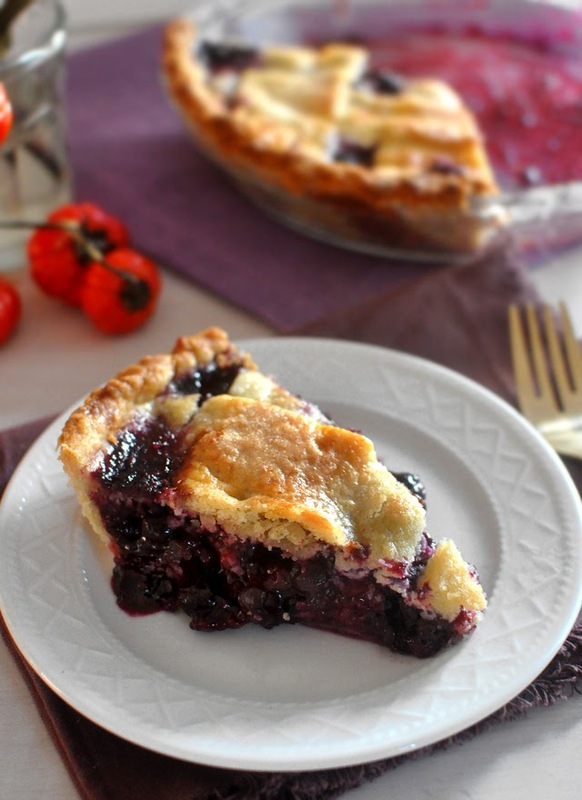 Until then, here is this gorgeous and delicious Triple Berry Pie! Let's first start with the dough. Once I found the perfect one, I've never even bothered trying anything else. This dough recipe is from Dorie Greenspan's Cookbook and it is flaky and flavorful and just divine! *I always make this amount and either pre-make two pies and freeze one, or I freeze one half of the dough and use it in the next two weeks for a fresh batch of goodies. This amount makes two 9" pies or one double-crusted pie. After the dough is rested roll it out on a floured surface to desired thickness. Preheat the oven to 425 degrees. 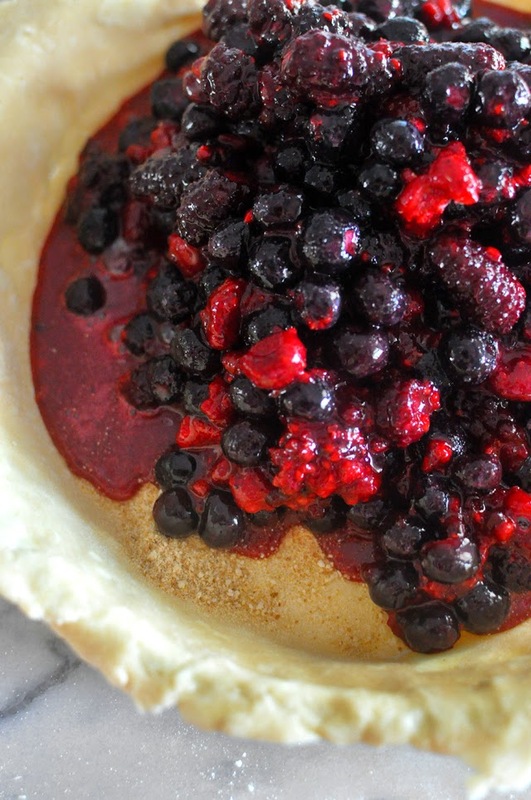 Right before you are ready to take the dough out of the fridge and make your bottom crust, take all of your berries and put them into a bowl. Add the 1 1/4 cup of sugar, 1/2 cup of flour, zest and juice of the lemon and a pinch of ginger and mix it well. Let it sit until you roll your bottom crust. 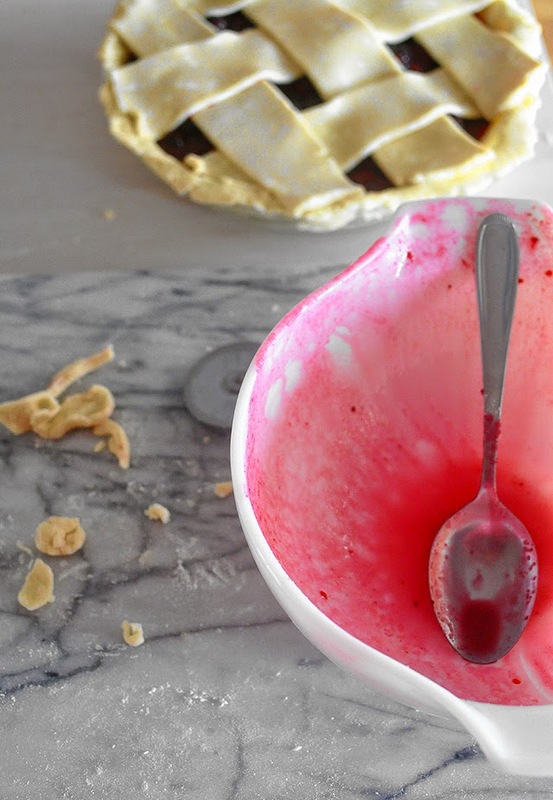 Now put your breadcrumbs on the bottom of the crust and then pour your berry mix on top. Return the pie to the fridge and start working on the dough for the top crust. I like seeing the oozing of berry juices between the lattice so I do that, but you could just cover it with a whole pie crust and make slits in the dough. 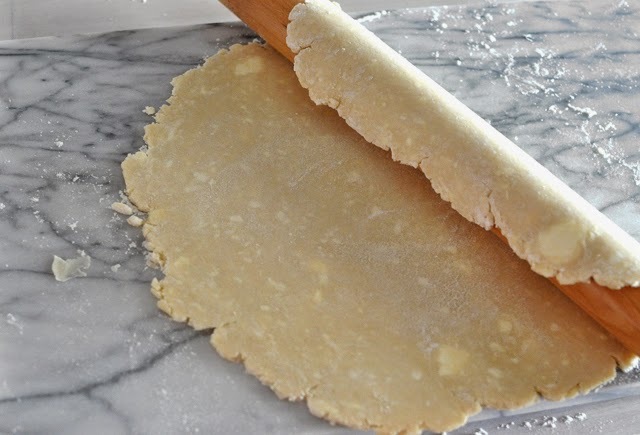 Once you cover the pie with the top, pinch the rims really well and then brush with an egg-wash made from one egg and dust with crystallized sugar. If you have time refrigerate for another 15 to 20 minutes. Bake on 425 for for 30 minutes and then lower the temperature of the oven to 375 and bake for another hour. I always put the aluminum foil tent around the pie because it tends to brown to quickly on the rims. Serve on it's own or (please) go crazy and put a scoop of vanilla ice-cream on top of it, it is amazing on this berry pie! I edited the filling recipe, thank you for pointing it out, I did forget to write how much breadcrumbs to use!